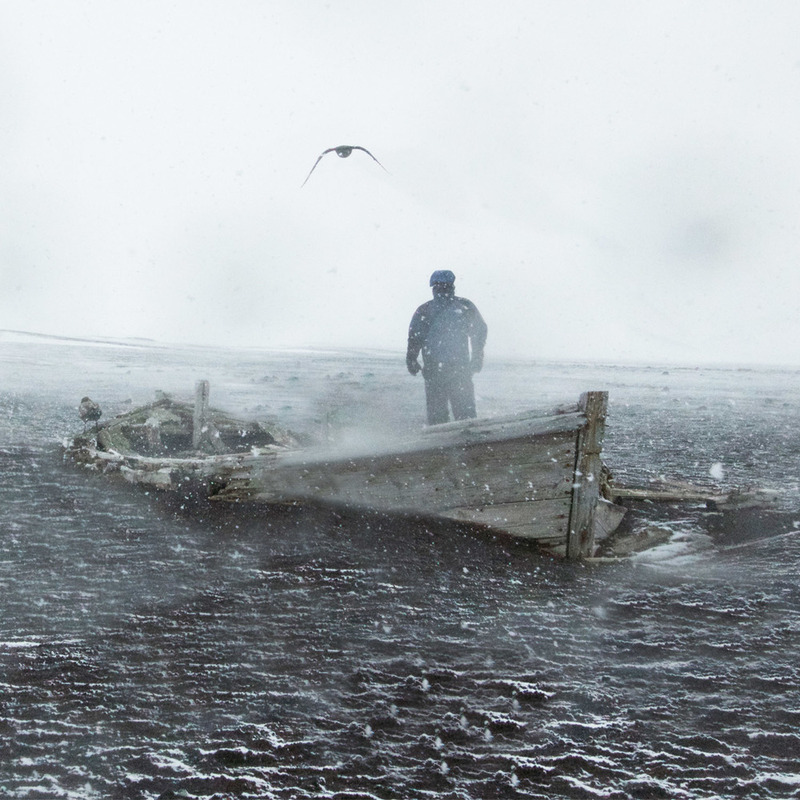 Landing ashore on Deception Island, in bitter temperatures with snow and sleet lashing down on me, was a far cry from the luxury and comfort of the ship that I had just left anchored in the bay of this active volcano. After a surprisingly calm 24 hour sea crossing from Ushuaia, through Drake’s Passage in the Southern Ocean, an area notorious for stormy seas, we had arrived at the southwest end of the South Shetland Islands, just off the northwest side of the Antarctic Peninsula. Now the wind was blowing at about 30-40 knots and a blizzard was building. I felt like the expedition to Antarctica had truly begun. In fact the bad weather swirling around me served only to validate my belief that Antarctica was going to be a desolate but awe inspiring place, not at all suited to human survival, and that I was a brave adventurer for taking on such a challenge! Walking around the horse-shoe shaped coastline of the Island felt akin to walking on the moon. The landscape was an intriguing combination of barren volcanic mountains and ash covered glaciers, with an eerily lunar feel. Looking back to the ship, our home for the next 10 days, I could see the narrow channel entrance known as ‘Neptune’s Bellows,’ that we had sailed through only hours before. Deception Island is most famously known for being an active volcano. Approximately 10,000 years ago, a violent and explosive eruption caused the volcano summit to collapse forming the caldera we were now in. The volcano has continued to be highly active since the 18th Century. One of our expedition crew was actually stationed on the Island when it last erupted in 1967. Even as recently as 1992, enhanced seismic activity caused ground deformation and increased water temperatures. Today, the floor of the bay, known as Port Foster, is rising. Looking up into the endless and overcast sky I could see a few large Skuas circling overhead in the howling winds. In the distance, amidst the thick grey fog, snow and wetness, I could just about make out a couple of smashed and weathered wooden boats, the remains of some old boilers and a dilapidated aircraft hangar, all a reminder of a forgotten time when the Island was a 150 man strong whaling station. Although Deception Island was discovered by British sealers in 1820, whaling activities did not start in earnest until 1906-1907 when the bay was used as an anchorage for whaling factory-ships, a place to stock up with coal, food and water and to make ship repairs. In 1912 the Hektor Whaling Company established a shore-based whaling station. At the time whale oil was a valuable commodity for lamp fuel, soap and margarine. The station did not actually process the whale blubber, but instead boiled down the carcasses to extract additional whale oil. It was eventually abandoned in 1931, when whale oil prices plummeted and it was no longer profitable to hunt whales in Antarctica. 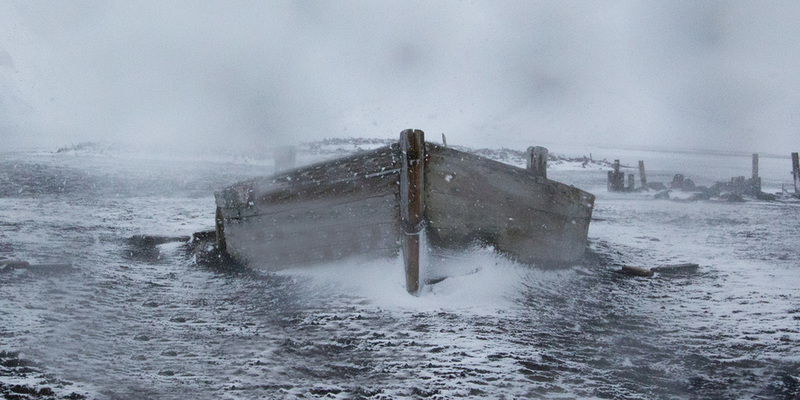 There is also a cemetery on Deception Island which holds the remains of around 35 Whalers. During the 1940's and 1950's Deception Island played a central and important role in the international affairs of Antarctica. In February 1944, the secret British wartime mission, Operation Tabarin established its first base (Base B) in the abandoned Hektor whaling station. In 1948 and 1955 Argentina and Chile also built stations. Today several nations still conduct scientific research here, including Spain, Britain, Argentina, and Chile. The volcanic eruptions have mostly taken care of other attempts to maintain permanent facilities, and as of 2000, there are only two scientific stations (Spanish and Argentinian) still in use today. These stations are only in use during the austral summer months. After an hour or so exploring on land there was no let up from from the awful weather and bad visibility. The expedition crew had been out much longer than our touring party and were starting to catch a chill so we were ushered back to our zodiacs and to our ship to prepare for the first of our daily Antarctic debriefings. On arrival we were greeted with rich, silky hot chocolate spiked with rum or amaretto. We downed these with delight. In high spirits we discussed our first landing of the expedition and all that we might experience on the second day of our Antarctic adventure. 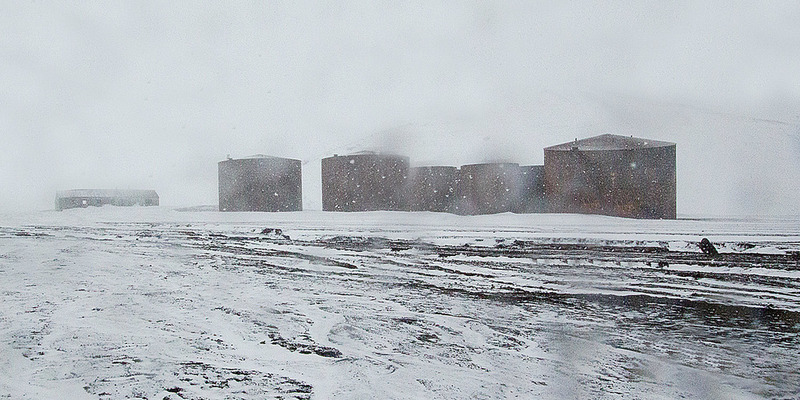 I visited Deception Island on Wednesday, 23rd December 2015, from MS The World.